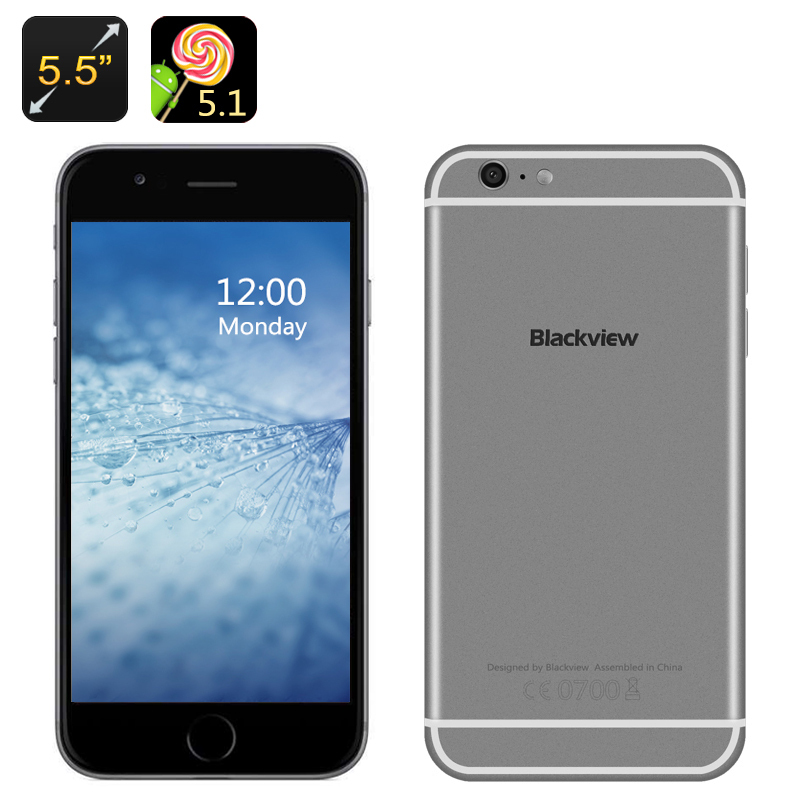 Successfully Added Blackview Android 5.1 Smartphone - 5.5 Inch 720p Display, Quad Core CPU, 2GB RAM, 4G, OTG, Gesture Sensing (Gray) to your Shopping Cart. With a 2.5D arc screen and slim sleek body this new phone from Blackview has the looks of a flagship phone without the price tag. Its sports a lovely 5.5 inch display with HD 720P resolutions and packs in quality components while remaining super slim at just 7.8mm thick. So not only does it look great but it performance is top notch as well. Under that stylish outer is a quad core cortex A53 SoC and 2GB of RAM for a speedy performance no matter what you task it with. Playing games. watching movies and multitasking are all handle with speed and this the phones lag free performance is sensational for all your daily needs. With an Android 5.1 operating system you get all the perks of Android that is made even more intuitive by the gesture sensing controls. this makes scrolling through music or flipping through the photos totally hand free. This Blackview Smartphone has 4G connectivity so you can access the fastest mobile data networks across B1/B3/B7/B8/B20 frequencies covering many regions across such as Europe, Asia, Africa and many parts of the Americas. With 4G you can steam movies directly from the web staring to your phone and the speeds are comparable or in many case faster than a home network connection. This will help you get the most viewing pleasure form that large 5.5 inch screen when you're on the go.